FLATCHESTEDMAMA | Conceptual and time-based works. Fresh out of a stand up/storytelling class taught by Emmett Montgomery, I will be blending comedy and conceptual art at this event in March. I took the 3D printed, to-scale rendering of my removed uterine fibroid to see Santa. She asked for universal healthcare. 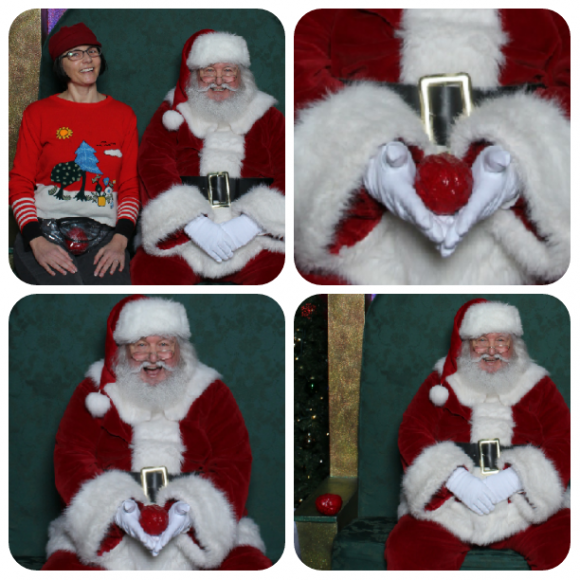 See my growing collection of Santa photos here. 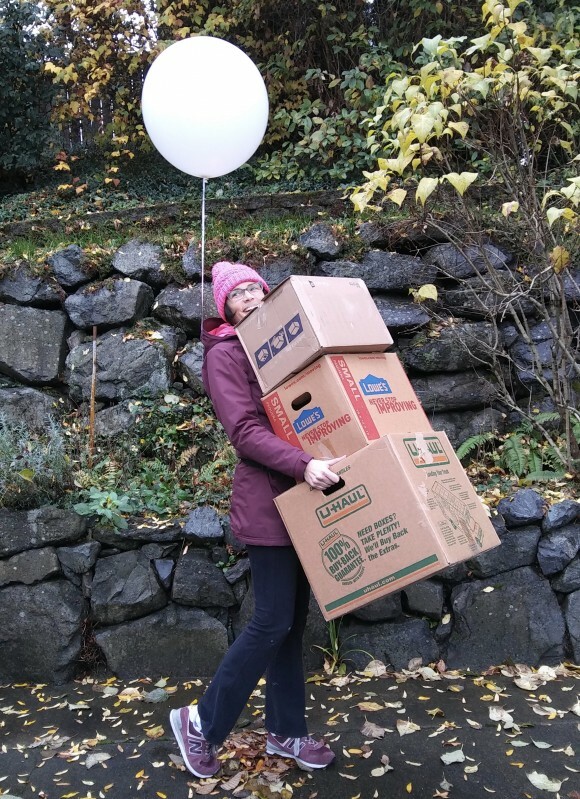 Site specific work was created at a Sou’Wester residency this fall. I scheduled the residency to fall over my 14th Anniversary of Commitment to My Creative Self. 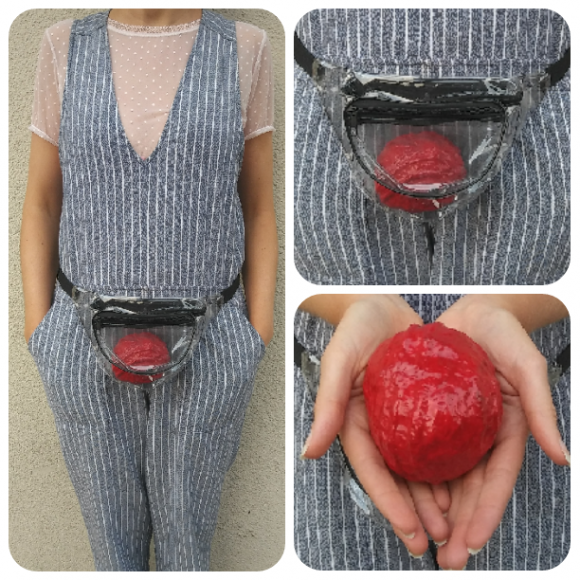 The culmination of the Waning Poetic piece, I have been carrying around a to-scale, 3D print of my removed uterine fibroid, on the outside of my body where it used to be on the inside. The 3D print was rendered by John Blalock from a very descriptive pathology report. I got to be a part of the Summer 2018 Siren Arts Festival held at Asbury Park, NJ. 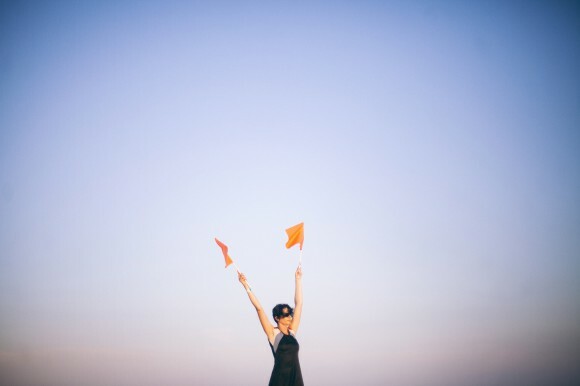 I shared some haikus on the subject of ocean conservation via semaphore. Above image is of the letter ‘T’ for Turning the Tide, Summer 2018’s theme. All images and content copyright ©Amy-Ellen Flatchestedmama Trefsger unless otherwise noted. Please and thank you. All grammatical errors on this website are figment of your imagikination.